When Republicans gather for their next debate Tuesday, one of the main issues all the candidates should be required to address is what each thinks of the controversial statements and arguments that Donald Trump has made about how to fight ISIS. Trump has a habit of taking campaign rhetoric to more dramatic places. In response to the horrific series of attacks conducted by ISIS, Trump kept saying things that led observers to ask whether he had finally reached the tipping point of going so far that there would be an electoral backlash. There has been a noticeably tough response from Republicans. “We need to aggressively take on radical Islamic terrorism but not at the expense of our American values,” said RNC Chairman Reince Priebus. “This is not conservatism,” said House Speaker Paul Ryan. Trump’s embrace of the politics of fear is not that surprising. There is a long tradition in campaigns of candidates who have played to the worst sentiments of the electorate during times when there are serious national security threats. Playing to fears can help candidates gain attention from the news media and the electorate, and it offers an easy way to depict their opposition as incapable of leading. According to a recent New York Times/CBS News poll, fears of terrorism have boosted Trump’s position. Historically, when politicians recklessly use the politics of fear, bad things happen. On the most basic level, damaging rhetoric results in injustices being committed to innocent citizens. For example, World War I had a devastating impact on many German-Americans. Other immigrant groups were harassed and saw their loyalty questioned. In April 1918, Robert Prager, a German coal miner who had applied for U.S. citizenship, was lynched by a mob. In 1919 and 1920, Attorney General Mitchell Palmer led a massive crackdown on individuals and groups associated with the left during the “red scare.” In the years that followed, nativism fused with anti-communism to produce a severe crackdown on immigration. Japanese-Americans were forced to live in internment camps during World War II, an action that has remained a huge black mark on Franklin Roosevelt’s record as commander in chief, as was his adminstration’s refusal to admit Jewish refugees who were desperately fleeing from Nazi Germany. In 1968, George Wallace’s independent campaign for president stirred up racial and social resentment against the gains on racial equality and civil rights in the 1960s. There are also political dangers for the Republican Party in using this kind of rhetoric, even though it often seems appealing in the short term. For decades, Democrats paid the price for being the party that intensified the war in Vietnam. In the early 1980s, when Ronald Reagan used pointed language to speak about the “Evil Empire” of the Soviet Union, advisers urged him to be more proactive in pursuing peace after fears emerged in 1983 of the possibility of a nuclear war. President George W. Bush’s war in Iraq dragged down his presidency. It is not clear right now, even if polls temporarily show support for ground troops in Syria, that the nation would really be willing to take on another protracted ground war that will cost human lives and a big chunk of our national budget. Finally, there are huge policy dangers that come from this kind of fear strategy, as it has historically stimulated a dynamic that drives political parties into poor decision-making. This undermines the nation’s ability to effectively combat threats. During the 1950s, too many members of both parties sat by silently as Joseph McCarthy and his allies cast an extraordinarily wide net in the search for alleged communists in the United States, violating civil liberties and damaging lives in the process. These actions polarized and divided a nation otherwise united in the fight against communism. Republican attacks on Democrats for being weak on communism were part of the drive that led John F. Kennedy and Lyndon Johnson deeper into Vietnam. The war brought little benefit to Western allies and only undermined confidence in the American Cold War strategy. Fast forward to 2002 and 2003, when many Democrats were skeptical about the necessity for the war in Iraq, but many were fearful about not appearing to stand firm as they read the electoral tea leaves. Stronger and more forceful opposition might have checked the nation’s move toward this conflict. 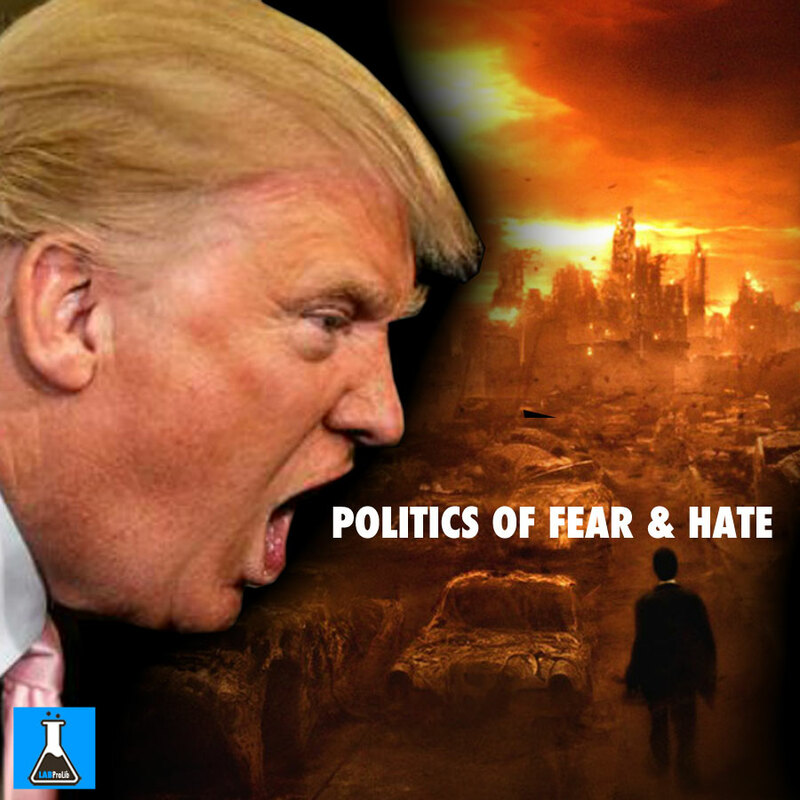 The politics of fear can be a dangerous thing on many levels. Even though many people have been critical of the type of restrained and cautious approach shown by President Obama in recent weeks after attacks in Paris and San Bernardino, there is something to be said to having the parties contain some of their most basic political impulses when dealing with these matters. Given how far Trump is taking this issue, it is incumbent on the debate moderators to let the voters know exactly where the faces of the GOP stand on these kinds of questions. Right now questions have been raised about the difference between Trump and the rest of the GOP. It will be important for the Republican candidates to state clearly and decisively where they stand on the many statements that Trump has made.